"We believe in traditional design, a sense of spaciousness, lightness and carefully observed details, incorporating current standards, technology and trends. We want our homes to come alive as a place of refuge, domestic tranqulity, a place that offers comfort and intimacy, often incorporating elements of an earlier time"
Founded in 2007 by Greenwich, Connecticut native, Peter J. Berghane, RA, NCARB, Aedifex, LLC has a history of successful and inovative problem solving in residential, commercial and retail architecture and construction management, based upon twenty-five years of experience in the industry. As an Architect Peter is able to clearly explain his ideas on paper while as a Construction Manager he can transform those ideas into reality. Peter has been creating and building for over twenty-five years. As a builder, his first house was begun when he was just eighteen years of age working as a carpenter. The excitement of designing and building houses as a teenager is what motivated Peter to apply to and be accepted at Pratt Institute, School of Architecture in New York City, where he earned a Bachelor of Architecture Degree. 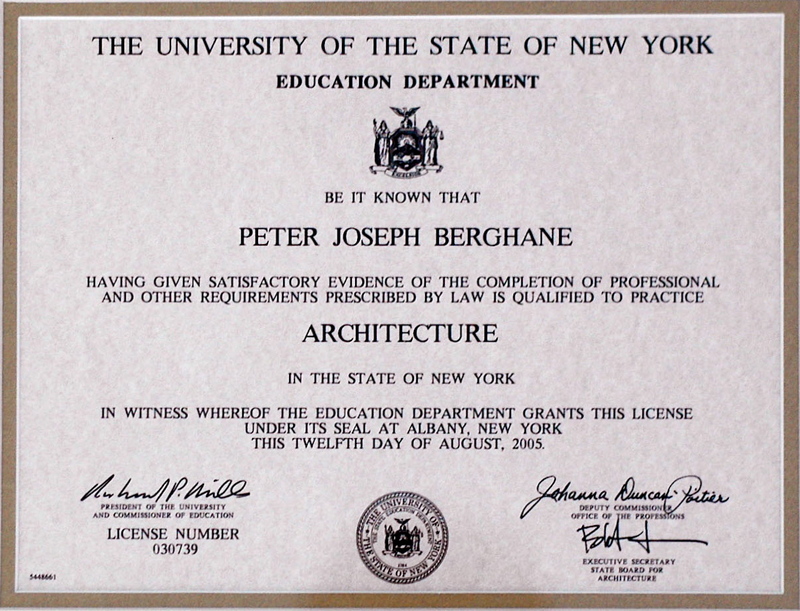 By the age of 30 Peter was a licensed architect in the States of Connecticut and Vermont, a member of the American Institute of Architects and board certified with the National Council of Architectural Registration Boards. Aedifex, LLC's goal is to assist you in transforming your house into your home or your office into a place you can look forward going to every day. "It is our goal to give our clients the highest quality finished product while keeping costs down". 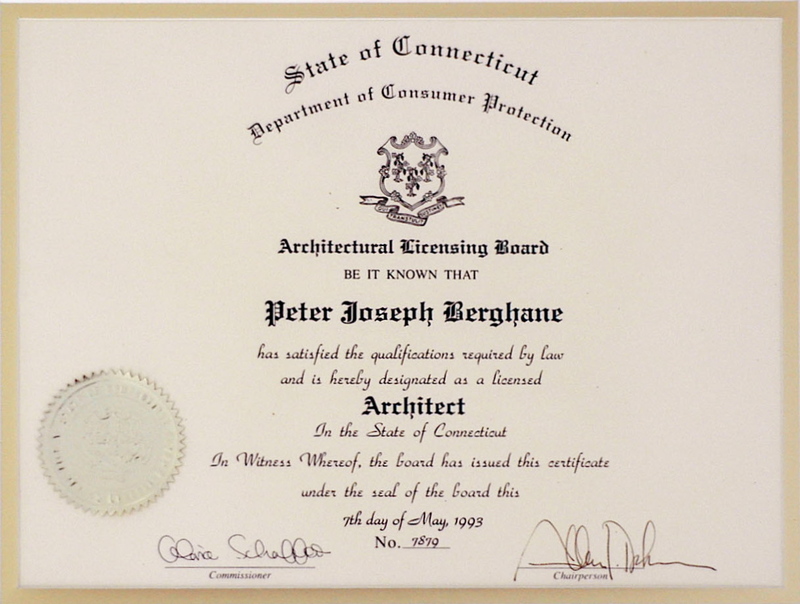 Peter J. Berghane, RA, NCARB is a licensed architect in the following jurisdictions: Connecticut, New York and Vermont and board certified with the National Council of Architectural Registration Boards, which allows for license reciprocity in all fifty States.